„Aponix 3D-NFT is a vertical soilless growing system based on robust, commercial grade and simple lego like parts to set up vertical grow spaces in 3D without using racks. It works using vertical drip irrigation and can be configured for many smart urban farming use cases. Plant spacing and height is variable. As nutrient reservoir the base can be used. On larger setups an external reservoir should be connected without liquid remaining in each barrel. 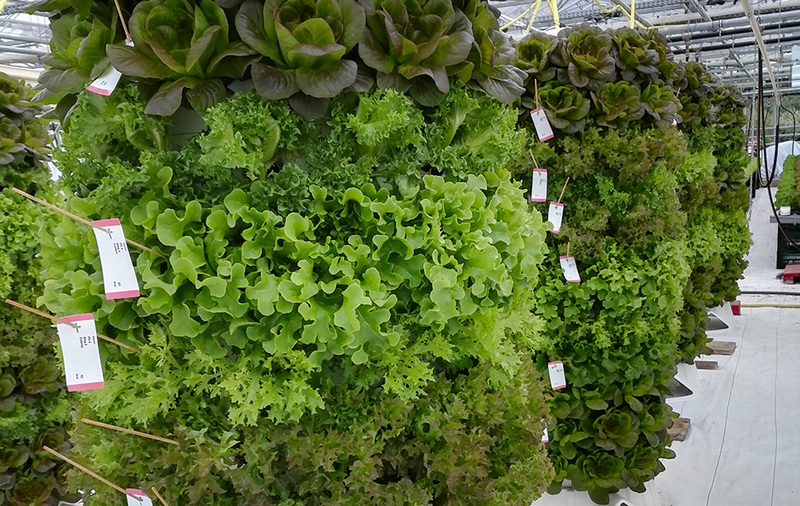 It is recommended to calculate with 2.5 to 3sqm per vertical barrel (diameter 57cm) that can provide 144+ individual growspaces for leafy greens. Of course many of those can be arranged in rows and operated in parallel. The system uses standard 2-inch netpots for cultivation. Aponix is reaching out to find dedicated distributors that can provide the necessary local consulting on how to integrate and operate the solution.